This meeting was very interesting as 6 items were reserved for further discussion by various Councillors. While most of the decisions were upheld the decision to not levy the Fullarton Road traders was overturned. They will now be levied $250 /rateable area. This brings them in line with other precinct groups and should lead to a more coordinated approach to promotion of the area. Council has an obligation to listen to deputations from members of the public on particular issues that concern them. I fully support this right but do not support the right for individuals to speak on more than one occasion and in my opinion they should speak at the earliest meeting in which the matter is raised. This might not only be City Services but should also apply to the Road Safety Committee, the Audit Committee and the Unley Business and Economic Development Committee. It is not reasonable that one individual should be able to continue to demand the right to speak on multiple occasions. If the deputations on McLeay park had been requested at the earliest meeting then Council would have all the facts in front of them on the first occasion the matter was debated and would have made the correct decision in the first place. When we get it wrong, and in that case we did, it causes much unnecessary anxiety in the community. So what was on this weeks Agenda? The petition for Byron Rd has been tabled and will be formally received, this has resulted in some excellent press. I tabled a letter from a resident, at his request, expressing his disappointment to the decision to not continue with creek works at Orphanage Park. The renaming of Johnstone Tce (the road that leads from Greenhill Rd to the Showgrounds) to Hamilton Boulevard. Considerable money has been spent on remaking this street and it should be an exemplar of good practice in water retention when completed in time for this year's show. Council's response to the Inner Metropolitan Rim Plan- this has been debated by Councillors and the Community. The report supports many of the initiatives, but does not support the heights suggested for buildings, the development of more shopping areas (Leader St and Fullarton Rd), and further urban infill in heritage areas. Money to continue the Home and Community Care programme. The solutions to remediate the Leicester St Playground after contaminated soil was found on the site. With conflicting reports this was a difficult decision. 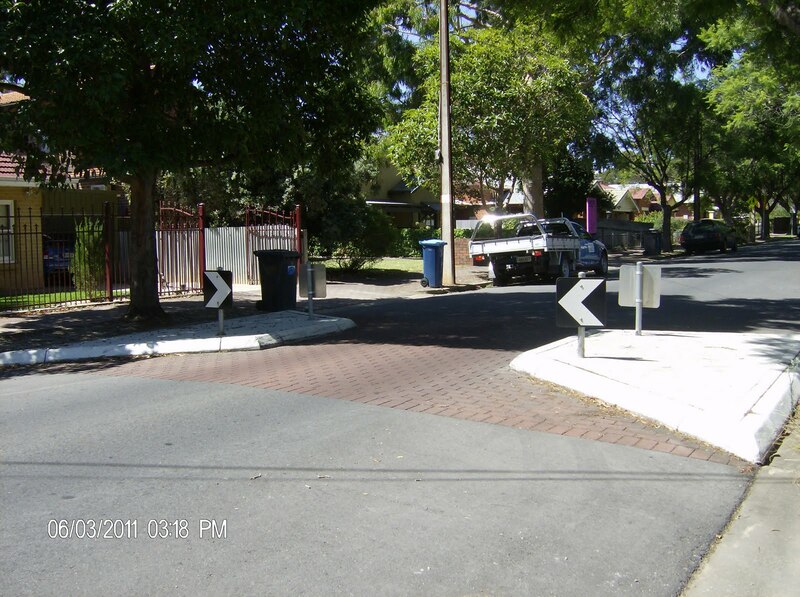 In the end Council resolved to spend just over $100,000 on works to render the area safe to use as a play area. I would have preferred a more comprehensive solution but did not have the numbers to achieve this. To make fees and charges for just about everything. This will come back to Council as Councillors still thought some modifications were necessary. I would like to see the family ticket to the pool to be available to families with 3 children at the same price ($18) as families entering with 2 children. The Annual Business plan. This supports a rate change to 0.2276 cents per dollar of valuation. This will amount to an average rate increase for residential property of 5.1%. However, its never that simple and relies on the entire Cities valuation having increased by 6%. If your valuation has gone up more or less than that then your rate rise will be more or less than 5%. Clarence Park valuations have gone up only 2% on average which means for most residences in this suburb their rate rise will be minimal. However, the value of Black Forrest has been much more than 6% and rate increases will be much higher. Millswood should be at about the 5%. It is worth remembering that if you feel your valuation is higher than the amount you think you can sell your house for you can appeal to the Valuer General for them to reconsider the amount. According to the Sunday Mail article about 50% of queries result in a reduced valuation. Remember also that this amount is not set by Council. My questions on notice on behalf a resident have not been answered. I will have to wait until July for the answers even though it is Council's policy that the answers be in the same agenda. The fee for home matches at Unley Oval for the Sturt Football Club. The fee to be $4,416per match. At the current time Council pays for the erection and dismantling of the fence; the cost of this is $2,500 per match. Community, Cultural, Recreational and Environmental grants programme; local organisations that were recommended for funding are Studio Flamenco, the Salvation Army,the Adelaide Potters Club, St. Spyridons, the Maronite Society, the Effective Living Centre, the Broughton Arts Society and the Rotary Club of Unley. The grants are from $1,400 to $3,960. It was dissappointing that there was not a broad range of applicants. Development of a new community garden in Unley. One of the recommended sites for further assessment and consultation is the old bowling green (adjacent the bowling club) at the Millswood lawns facility. Other sites recommending for further investigation include the Goody Patch, Parkside Primary School and Soutar Park. The Millswood garden area is supported by the neighbours and in my opinion warrants further investigation. After the final sites are selected funding would be in the 202/23 budget for implementation. The continuation of funding for service provision to residents of Supported Residential Facilities. The draft City of Unley 'Accesss for All" Action Plan to be endorsed for public consultation. The plan is Unley's response to the Disability Discrimination Act (1992). Council is required to ensure that all residents are able to use it's facilities to the same extent as others. Council recently received a grant to enable more people to use the Unley Swimming Pool by funding the installation of a hoist that can be used by people who can not enter or leave the water as other people do. The Development Quarterly Report shows that building applications were higher than in the same quarter last year. The average turn around for a category 2 development is now 13 weeks; 43 of the 117 applications had to be approved/refused by the Development Assessment Panel. The DAP must make the decision when representations are made that can not be managed through compromise. Very few applications were received for demolition which was pleasing. The strategic urban design report tells Councillors and the community where staff are up to in preparing the Development Planning Amendments. Further reports with final details will be put to Council in the next couple of months. Once approved by Council they go to the Minister who approves for consultation before refinement and final approval. Future use of 39 and 41 Oxford Tce, known as Jacks's Bar and the Kirrinari playground. Council are being ask to make a decision regarding future sale of the properties. Council moved to investigate methods of sale that would be suitable. We identified this building some time ago as surplus to need and now should follow through to disposal. The Unley Sports Club (the current tenant) will have first option to purchase. single lane at six spots. the beauty of the street." until 2013 to be replaced. healthy living and physical activity." it's growing legs," she said. persuaded to rethink her position. members and stop this redevelopment. It's just as well I published the very pleasant letter earlier. I received this week a letter that I can only describe as nasty and inaccurate from the same people that wrote this letter to the Eastern Courier, their letter was at least publishable. And it is that we see in something what we wish to see. When being interviewed for the earlier article in the paper it was quite clear that the new reporter did not have a lot of knowledge about the ongoing issue that had been the redevelopment of Orphanage Park. I was very careful with my comments and did say exactly what was quoted, and in doing so I was also careful to not use the word I to imply that the end result was something I had achieved or worked towards. Having done extensive door knocking near OP in my ward and in Unley Park the majority of people I spoke to (and the many emails I received) supported the view that a small area should be laid back and the creeks banks should be restored where they had been severely eroded. In saying this I have listened to every request that the group made to me as a group or as individuals. In doing this many aspects of the design were changed over time. To be accused of not listening to the people or politicking is absurd. The elections are over, I have listened and acted on every request that I have received in this matter. I made decisions based on what I believe the majority of my constituents wanted. I, like most people, respond better to praise and collaborative thought than hostility.